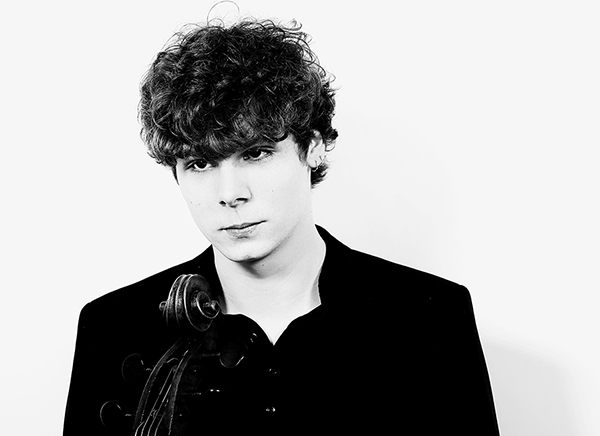 Born in 1993, Bruno Philippe studied the cello at the Conservatoire National Supérieur de Musique de Paris, in the classes of Raphaël Pidoux and Jérôme Pernoo, and chamber music with Claire Désert. From 2014 to 2018, he studied as a young soloist at the Kronberg Academy with Frans Helmerson. In 2018, he was named ‘Instrumental Revelation’ at the Victoires de la Musique Classique. Previously, he had won the Third Grand Prix and the Prize for Best Recital at the André Navarra International Competition in 2011. In 2014, he won the Nicolas Firmenich Prize at the Verbier Festival and then the Third Prize and the Audience Prize at the prestigious ARD International Competition in Munich. He also received Special Prizes at the Tchaikovsky International Competition in June 2015 and the Feuermann Competition in Berlin in November 2014. In 2015, Bruno Philippe was named Classical Revelation of ADAMI and in 2016, he won the Prix pour la Musique de la Fondation Safran for the cello. In 2017 he was a laureate of the Queen Elisabeth Competition in Brussels. Bruno Philippe appears in prestigious venues and festivals in France (Théâtre des Bouffes du Nord, Philharmonie de Paris, Auditorium du Louvre, La Grange au Lac, Festival de Radio France Montpellier-Occitanie etc.) and on the international scene, including the Berlin Konzerthaus, the Alte Oper in Frankfurt, the Teatro Colón in Bogotá and Bavarian Radio in Munich. In the concerto repertory, Bruno Philippe performs with the Orchestre Symphonique de Bretagne, the Orchestre de la Garde Républicaine, the Colombian National Symphony Orchestra, the Slovak State Philharmonic and the Moroccan Philharmonic Orchestra. He has also had the opportunity to play with such renowned orchestras as the Radio-Sinfonieorchester Frankfurt conducted by Christoph Eschenbach, the Dijon-Bourgogne Orchestra under Gabor Takács-Nagy, the Symphonieorchester des Bayerischen Rundfunks, the Münchener Kammerorchester, the Orchestre National de Bordeaux, the Orchestre de Chambre de Paris and the Orchestre Philharmonique de Monte-Carlo. Among the prestigious soloists with whom he has appeared are Gary Hoffman, Tabea Zimmermann, Gidon Kremer, Christian Tetzlaff, David Kadouch, Renaud Capuçon, Jérôme Ducros, Tanguy de Williencourt, Antoine Tamestit, Sarah Nemtanu, Lise Berthaud, Christophe Coin, Jérôme Pernoo, Raphaël Pidoux and Emmanuelle Bertrand. In the Baroque repertory, he performs alongside Jean Rondeau, Thomas Dunford and Lea Desandre and is a member of the Ensemble Jupiter. His first CD, devoted to the Brahms sonatas with Tanguy de Williencourt, was released in 2015 on the Evidence Classic label. In 2017 he joined harmonia mundi with a recording of works by Beethoven and Schubert, again with Tanguy de Williencourt. Bruno Philippe plays a cello by Carlo Tononi on loan from Beare’s International Violin Society.